A New Year News Perspective | News Generation, Inc.
As the first decade of the new millennium draws to a close, ’tis the season for reflection. A time to look back at the past ten years, and a time to look forward to what lies ahead. 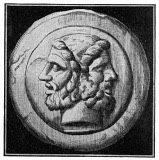 The Roman god Janus, from whom we get the name of the first month of the year, famously had two faces. One could see where he had been, and the other where he was going. Think of this time of year as the opportune time to provide our friend Janus with that which he seeks: the best of the big events and breakthroughs of the recent past, and, more importantly, the coming trends in news and entertainment. As a species, we are fascinated with the great discoveries and innovations that have shaped our lives. Even more so, we wonder as to what changes lie in waiting. Take this natural curiosity and use it to help shape your headlines in the coming weeks. How far have we come? How much farther do we have to go? January is also the perfect time for resolutions, so think about ways that will help make 2010 a better year than 2009. What simple steps can we all take to make our lives better in the time that lies right in front of us?